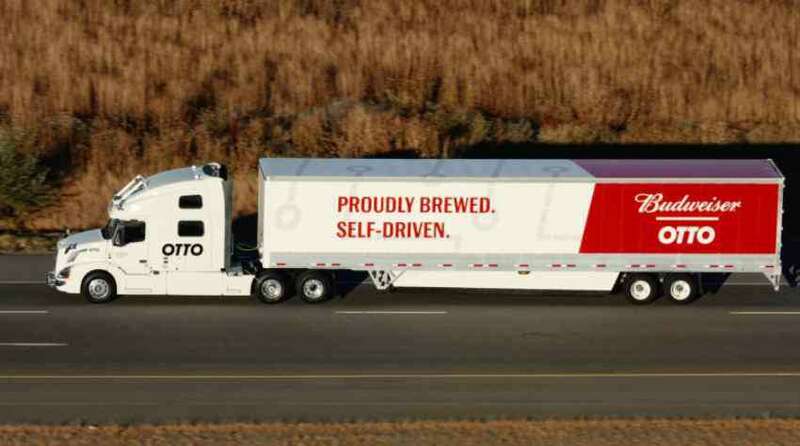 Self-driving truck built-up by Uber’s unit Otto made successful delivery of beer in Colorado. The 18-wheel semi loaded down with Budweiser made the 200 kilometer trip from Fort Collins through the center of crowded Denver to Colorado Springs using only its panoply of cameras, radar and sensors to read the road. The truck carried a professional driver, but he simply monitored the progress from the truck’s sleeper berth behind the driver’s seat. Otto said that the initial test drive was the beginning of a partnership with Anheuser-Busch, the largest US beer brewer. The trip was a fairly straight two-hour drive south on the I-25 highway, “exit-to-exit”, the Otto said in a statement, suggesting the initial and final stretches off the highway were handled by a driver. Likely we will see trucks with/without drivers delivering goods within predetermined time. As drivers get fatigue due to continuous driving also they need to take halts for foods and toilet, so more time required for drivers to deliver goods while continuous driving compares to the self-driving truck. Uber makes this possible by its Otto made truck. It is truly similar to Autopilot mode available in Airplane. “With an Otto-equipped vehicle, truck drivers will have the opportunity to rest during long stretches of highway while the truck continues to drive and make money for them.” Uber took over Otto in August to combine forces on developing self-driving technology, and co-founder of Otto Anthony Levandowski became head of the program for both companies. “When you see a truck driving down the road with nobody in the front seat, you’ll know that it’s highly unlikely to get into a collision, drive aggressively, or waste a single drop of fuel,” Otto said.